Back in December, I wrote a full introduction on how to earn lots of Clubcard points by recycling empty printer ink cartridges. The important part was that you can buy empty ink cartridges quite easily on eBay. This was therefore a cheap way of accumulating lots of points, especially as the right cartridges earned 50 or 100 Clubcard points each. The Recycling Factory, which operates this on behalf of Tesco, has published a new ‘price list’. It has a few stings in the tail. 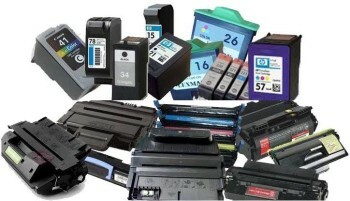 The biggest impact is the HP920 and HP940 range of cartridges which are now no longer accepted. These were some of the easiest to pick up on eBay. A few others have gone down from 100 points to 50 points. I hope that no Shopper Points readers have been caught with stock from eBay which they can’t now get rid of (although they could be resold on eBay!). It is a reminder that such schemes always come with a small amount of risk.